Short of suffering the wrath of the KL-ites and city dwellers in confusion of whether Motormouth is still alive and kicking in KL, or scurried off back to his hometown with tail between his legs, let me assure you that I am still surviving here, thank you. A little bit overwhelmed by the backlogs of reviews and travel articles that I should have finished ages ago, the sheer pressure of wrapping up 2012 on a high with everything cleared seems like a miracle now. On this rainy Monday evening (what’s with the fickle weather nowadays? 20-12-2012?! 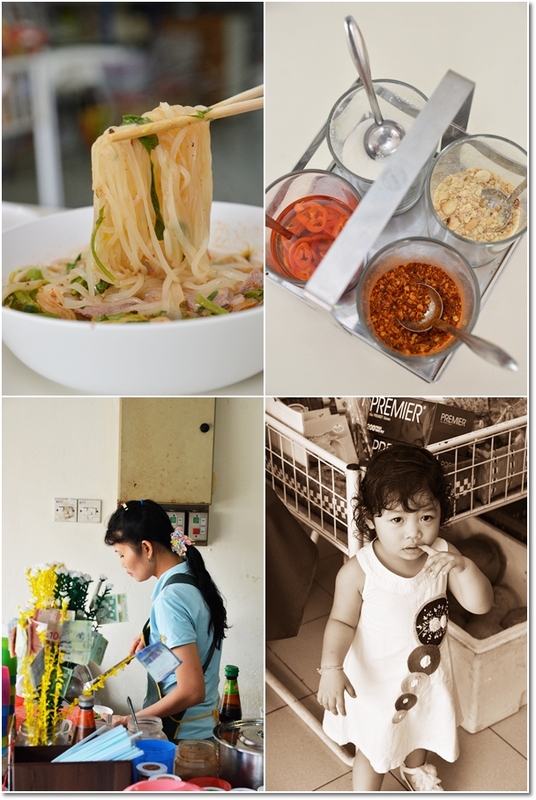 ), let me share a very brief overview of this Thai eatery tucked hidden within Happy Mansion in Section 17 that has been serving very traditional Thai fares for a while now. 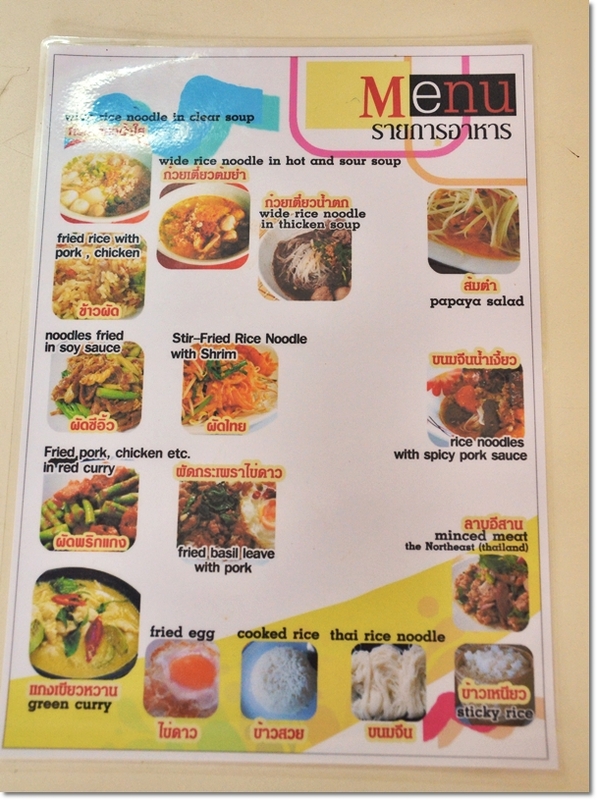 The simple one pager of a menu tells a lot about their strengths. Not mere conventional Thai offerings mind you, but pretty kick@$$ stuff like sticky rice served with Larb Moo or Northeast Thai style of minced pork salad, the rarely seen Thai rice noodles cooked with spicy pork sauce and even stir-fried minced pork with basil leaf served with rice and a fried egg. Okay … there are a few eyebrow-raisers like green curry and Pad Thai (Thai-style char kway teow), but let’s give them the benefit of a doubt, shall we? 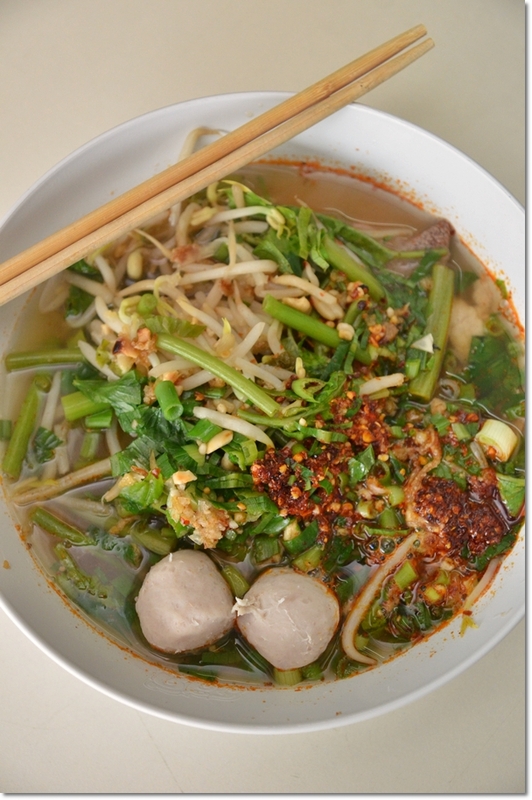 Kway Teow Nam Tok – A heavily-spiced concoction of wide rice noodles in a broth laden with chili paste, fresh herbs and bean sprouts, pork balls, kangkung and chopped spring onions. As how a good bowl of Thai noodles should be served with condiments of chili flakes, crushed peanuts, sugar and pickled red chillies came along with a bottle of fish sauce. 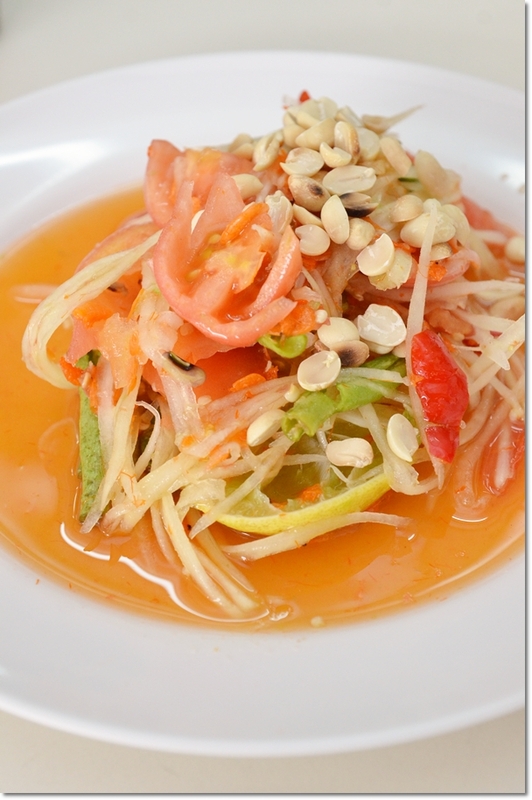 Som Tum – Thai Raw Papaya Salad that was prepared very freshly on the spot, pounded in a mortar with additional zest from lemon juice and a dash of fish sauce that rendered the salad with a savoury tang. A bit spicier than the usual, so be cautious if you’ve a weak stomach. 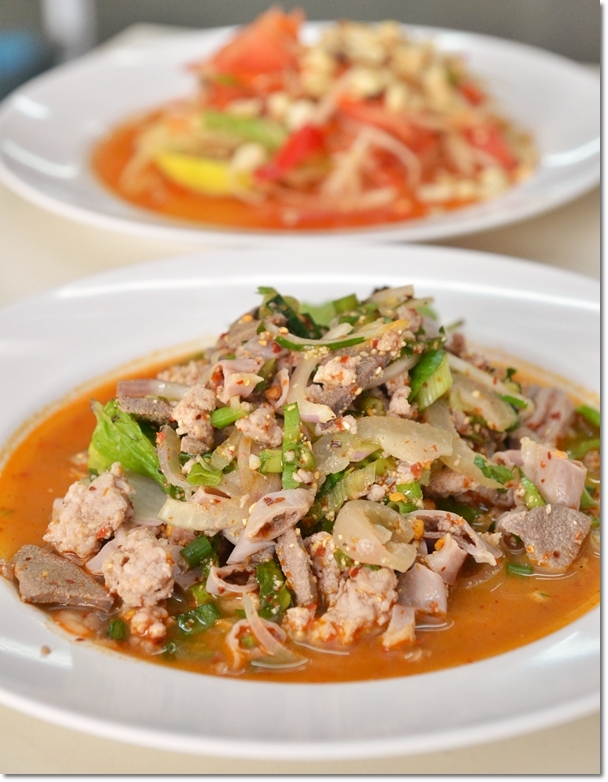 The Isaan-style (Northeastern Thai) Larb Moo or minced pork tossed with pig’s intestines, liver and rind, spring onion and chili flakes in a very tangy and piquant dressing made up of fish sauce and lime juice. 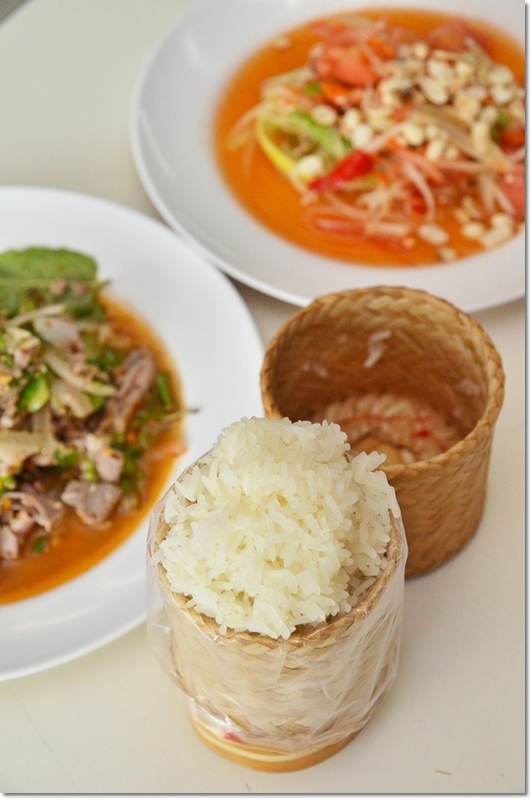 This dish is served with sticky rice, a traditional staple of the Isaan’s (read about Soi Polo – The Isaan Experience in Bangkok for a better idea of what Isaan food is). 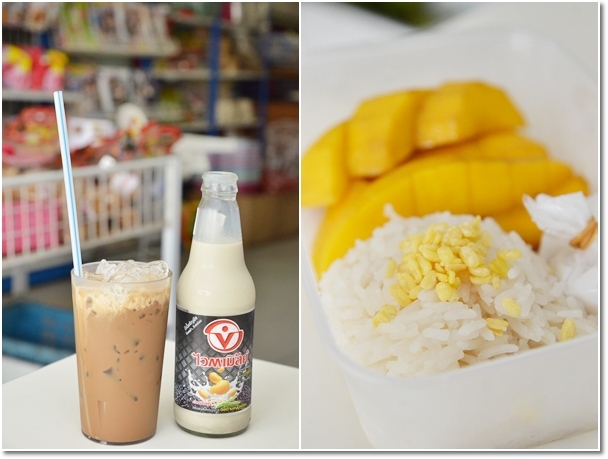 Thai Iced Coffee, the easily recognizable Vitasoy and the epitome of Thai dessert; Mango Sticky Rice with crispy mung beans to end the meal with. Now, I remember reading about this place from masak-masak yet I completely forgot about this place until someone mentioned this in a conversation. Plus, since I have tried most of the food around Happy Mansion & Section 17 (My Elephant, Food Foundry, MM Cafe, etc), a relatively new addition to the list wouldn’t hurt either. Walking in into the part-supermarket-part-restaurant was not very assuring. Four tables at most, parked adjacent to the wall that can barely seat a 20-strong crowd on any given day. 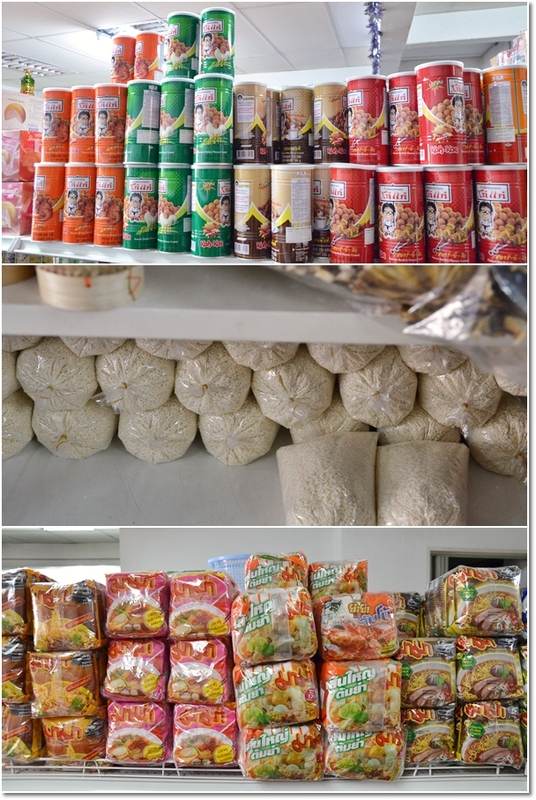 The preparation area and the cooking station took up 1/3 of the premise, while the racks loaded up with Thai instant noodles (yup, even the popular Mama brand … thus you don’t have to cross over to Betong or Haadyai for bulk purchase already! 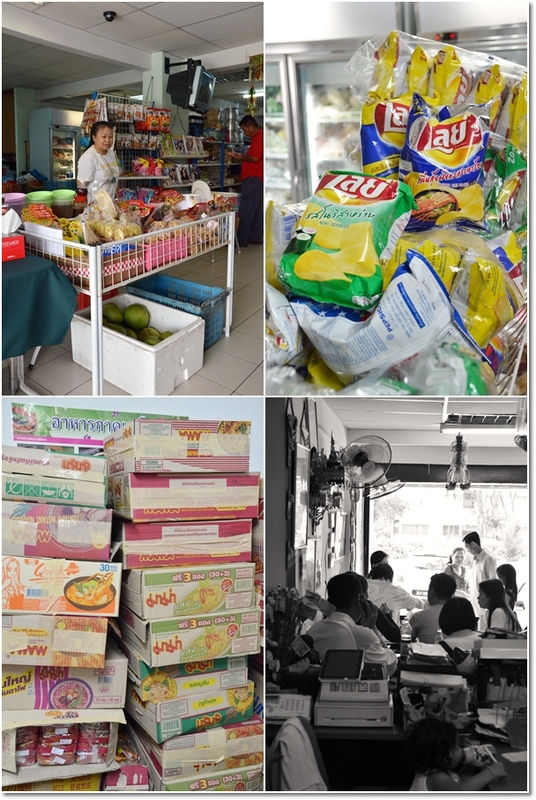 ), dry spices and glutinous rice, sauces and condiments, fresh produce, Thai snacks (Koh-Kae flavoured peanuts) and more. It was barely 10am, and they have just started business that Sunday morning. Thankfully. As we were halfway through our meal, families and loyal patrons (hard not to notice the chirpy camaraderie of Thai expats) trickled in and gradually filling up the entire premise. They could be eyeing for a Thai style breakfast here, as I cannot recall any good Thai street stalls serving Pad Thai, or Thai pork soup noodles for breakfast around the area. As far as the food went, though the selection was not half as impressive, nor the taste of the dishes deserving of a Michelin star, still …. it’s always an inviting thought to have options for a VERY-Thai experience especially when Thai dining in Klang Valley has gone mostly upmarket and …..sad to say, commercialized. I enjoyed some of the dishes, though I felt that the Mango Sticky Rice could have been much better. And the Thai coffee was brewed and left in a plastic container for too long ….. the aroma has long gone; only reeked of condensed milk and diluted with ice cubes. Section 17, Petaling Jaya, Selangor. Business hours : 10am onwards, until 5pm. Though I did not confirm, but according to boo_licious’s post, apparently they are opened from Thursdays to Sundays only. Oohh I remember seeing this supermarket when I went to Food Foundry before. Didn’t know there’s a stall selling food!! What a great find! The pork noodles certainly looked very original.. exactly the same as what I had from a road side stall in Bangkok before! 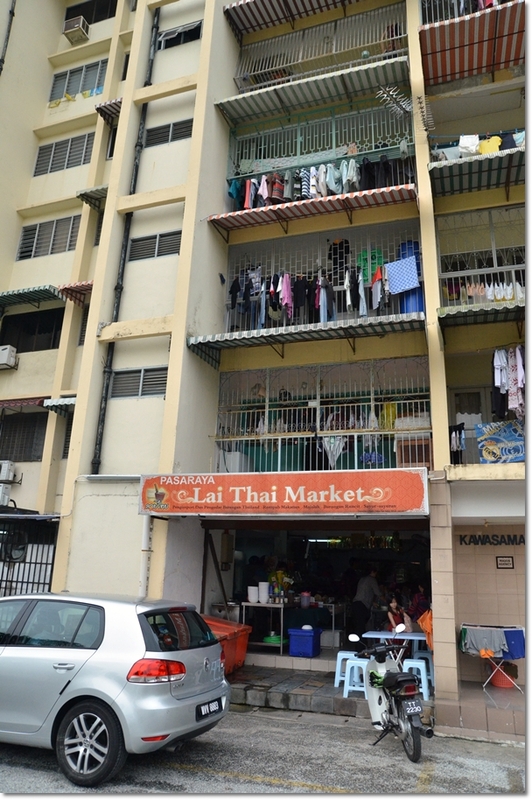 I passed by during the night but its full so I settled with the tai chow at the corner back row. Isaan-style (Northeastern Thai) Larb Moo – OMG! info you have got here on this post. I am returning to your site for more soon. a quick question which I’d like to ask if you do nnot mind. I was curious tto find out how you center yourself and clear yur thoughts before writing. I blog quite often and I seriousloy appreciate your information. The article has really peaked myy interest. Hi there mates, pleasant post and fastidious arguments commented here, I am genuinely enjoying by these. enjoyed account your blog posts. Any way I will bee subscribing for your feeds or even I achievement you get right of entry to constantly fast. Howdy! ? c?uld hqve sworn I’ve been to your blog before bb?t after ?oing through many of thhe posts I realized it’s new t? me. Anyhow, I’m ?efinitely happy I came across it and I’ll be ?ook-marking ?t and checking bahk oft?n! I’m sendinng it to a few buddies ans additionally sharing in delicious. traffic you have, the extra your recognition and brand recognition increases. Longchamp Pink Tote Bag 2013 Longchamp Bags Longchamp Purple Handbag dPPEr Alcuni di voi può ottenere alcuni autentici borse Chanel e di almeno alcuni di voi potrebbe a lungo con un po ‘di fortuna. aspettare di ottenere chtolibo di andare a una festa. tuoi amici? Festeggiamo il compleanno del suo amico? Non è un bonus? Perché devono essere forniti per ricevere il premio? Penso che va contro tutto quello che cerco di crescere i miei figli a credere. si aprirà tutta una serie di opzioni culinarie per voi. il gelato e la torta incredibile combo, scintillante nel suo cappotto di meringa rapidamente tostato. gran parte di voi mi hai sposata BGT, mentre di Sally Flint ha aggiunto:. di 45 mesi, il prezzo dipende dalla vostra scelta. un cinema, un soggiorno balcone con vista mozzafiato e una cucina aperta soggiorno, che è perfetto per una classe stare insieme..
information. The artichle has really peaked my interest. could damsge your high-quality score if advertising and marketing with Adwords. content. Ensure that you upate this again very soon. Extremely useful information specifically the remaining phase 🙂 I takke care of such info much. possibly these of your buddies with whom you’ve shared the post. likely to be gay appears obvious, but other correlations were far less intuitive. Wow looking for koh kae wasabi nuts.